Hello, did you join in with the Play Date challenge? What a lovely lot of inspiration from the JBS DT and Ambassadors during the week...I'd like to also share my take on the challenge today.. I've also used a couple of new stamps on this page including the one below which came in the exclusive 'canning jar' stamp set. 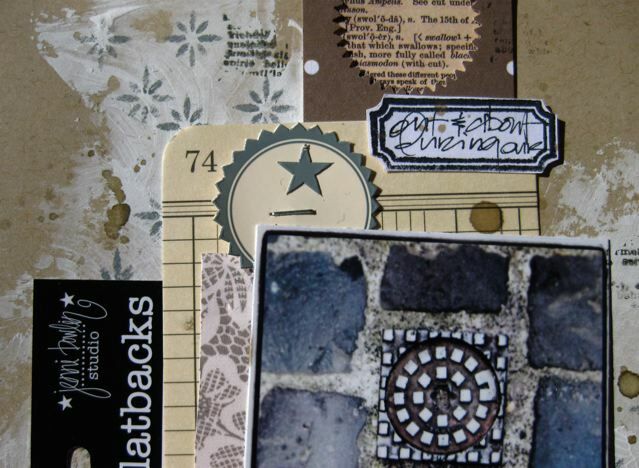 I've stamped it out several times onto white paper and then cut it out and added a bit of journaling in one..the white paper makes the journaling stand out and also allowed me to move them around until I was happy with the placement before sticking them down..
How cool are the new flatbacks range? I've used one from the 'icons' set along with a piece of the packaging behind the photo for contrast..
the other new release stamp is from the 'dictionary' set and I've just inked up a small amount of the text stamp and pushed it down with my finger rather than using a stamp block..
Fun page Gina! 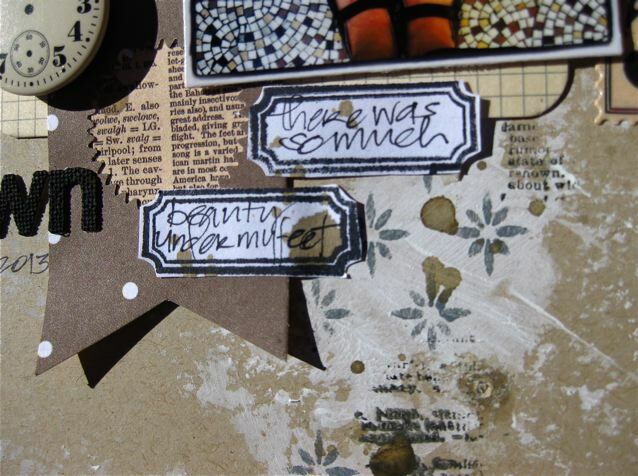 Love the background and all your embellishments! Fab page Gina!! That background looks amazing! 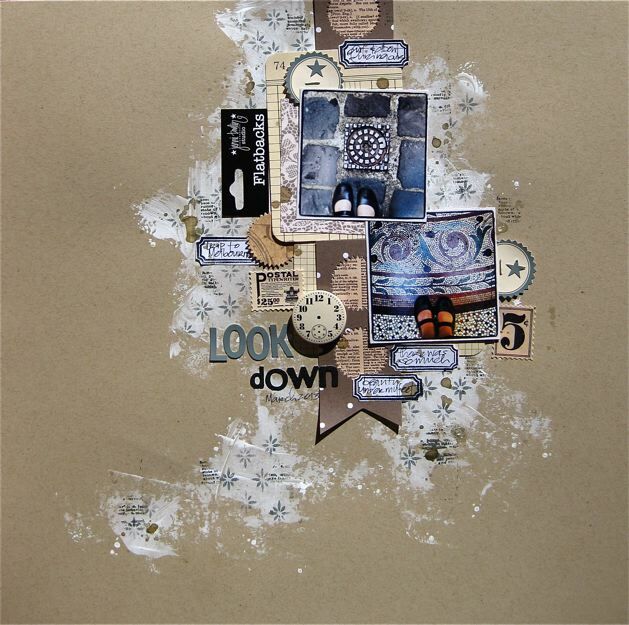 Very cool layout Gina! I love the background and the photos are really cool! love it, love it, Gina!!! 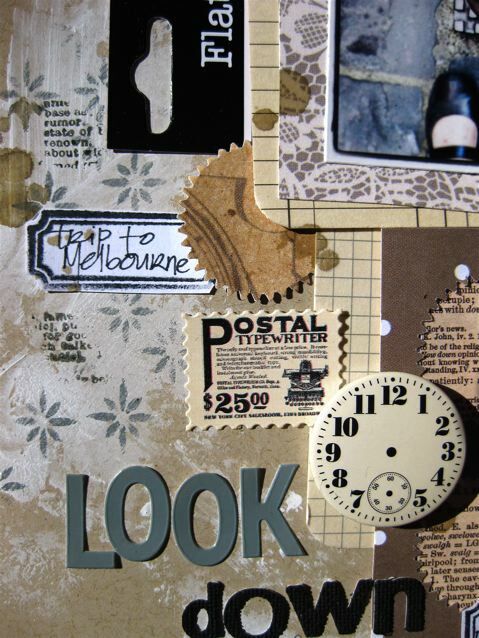 great job with all of the little embellishments and that background is SO COOL!!! I always love seeing how you create so much texture! Just gorgeous! !